Use every new experience… and catch more fish! 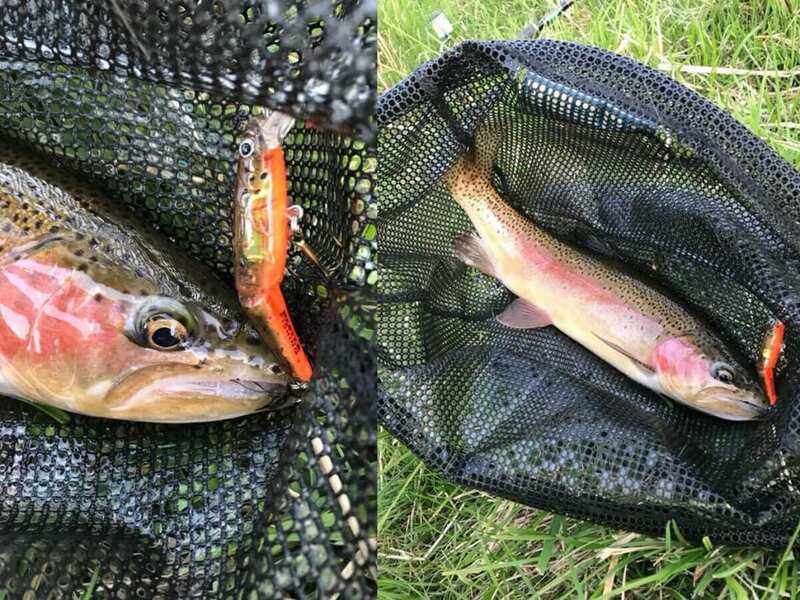 Fishing freshwater in New Zealand, completely changed the way I fish for the better! Although a Queenslander, I’ve spent a lot of time fishing salt and fresh at home and in southern NSW. However, fishing in New Zealand taught me one invaluable lesson, that has improved my fishing ever since. For a start, in the pristine waters of NZ, I could actually sight the fish before I made the cast! I could see the fish’s reaction to my lure and because of that, I now catch more fish in half the time. For those of you that have never been to NZ, it has an abundance of crystal clear rivers and streams, and many of which holds a healthy supply of great fish. Freshwater, I’m talking brown and rainbow trout. The accepted practice is to walk, you don’t need a boat 95% of the time unless you want to fish one of their massive lakes or upstream and cast ahead of you. Normally the fish will be facing into the flow of the water (facing away from you) and they won’t see you coming. Due to the clarity of the water and the aid of good polarised sunglasses, you can learn to spot the fish in the water before casting. That is the basics of it. Sounds too easy, doesn’t it? So, there I am – and straight aways there’s a fish! First cast is out. I aimed my favourite lure, a Nils Bingo, for about 4 meters in front of the fish so as not to spook it. The lure swum back to the trout very naturally – just perfect! Amazing what you achieve when there’s no one else around to witness your genius. The fish, however, completely ignored the lure. OK, so I have another crack. Another perfect cast (two in a row!) this one a little bit closer so he’ll see it this time. Right? Same response from the fish – that is to say no response at all. The fish wasn’t spooked. I could see it continuing to feed on stuff being brought to it by the current. The fish was still unaware of my presence and it seemed equally unaware of my killer lure. If I was back at home, fishing where I can’t see the fish, unless they are breaking the surface, what would I have thought – what would I have done? I would have thought that ‘there are no fish here’, or that they are ‘shut down’ and not feeding. I would have moved on to the next likely spot and just kept fishing the same way. Likely I would have had a tough day and probably gone home fishless. Finally the penny droped. The problem (with the trout in NZ) was that I wasn’t fishing DEEP enough. The clear water had me thinking that the trout was near the surface, when in fact it was almost six feet down. Twenty minutes later I found the right depth — and hooked, played and landed a huge trout. Now when I fish, I keep that experience in mind. I still have my favourite lure but I’ve learned to be flexible. I now fish with confidence that I am making the most of my time on the water. Firstly, I’ve vowed never again to hem myself in with one lure. It kept my hands tied while swimming it around for hours achieving nothing, unwilling to change. Secondly, I never leave an area until I’ve fish the entire water column, even if that means making 3 changes of lure. When I catch a fish, that is the first lure I use in the next location – but I’m willing to change it if it comes back untouched.Thirdly, I catch more fish and have more fun every session. Next instalment I’ll tell you about how to quickly and efficiently you can change your lures, flies and bait rigs so that laziness won’t hold you back as it did me.